Aldi has published a median gender pay gap of 4.8% – well below the average pay disparity between men and women seen across the UK. The discount supermarket chain said that all of its employees are paid based on the role they undertake and their length of service, with “no other factors, including gender” taken into consideration. According to the Office for National Statistics, the UK median gender pay gap is 18.4%. Aldi’s gender pay gap figures were published shortly after supermarket giant Tesco reported a median pay disparity of 8.7%. It gave the example of its graduate area sales managers, who all join the company on a £44,000 salary regardless of any other factors. James Hutcheson, managing director of Aldi UK, said that this was the same approach Aldi took for all of its other roles, which he claimed made it “one of the few retailers that pay male and female colleagues exactly the same at every level of [its] business”. Hutcheson added: “While we have always ensured colleagues have access to the same opportunities and recognise there are a number of factors outside of our control, such as an employee’s personal choice of working hours to suit their individual circumstances, we recognise that there is more we can do to address our gender pay gap. This is something we are absolutely committed to. 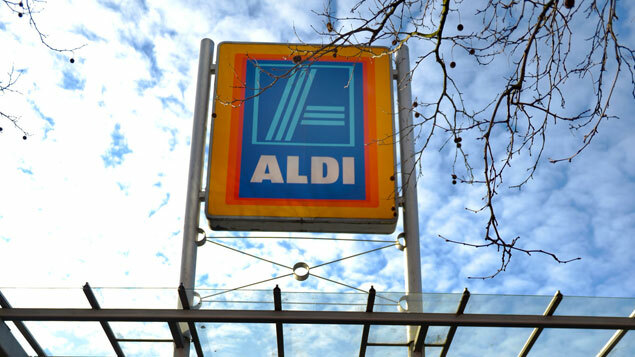 In a statement to accompany it gender pay gap information, Aldi said it did not pay bonuses based on individual performance to male or female staff, which meant there was no inequality in bonus pay. Hutcheson said Aldi had established the Women in Aldi Forum to look at aspects of gender diversity and representation across the business.